After an accident, no matter how minor, all parties involved are required by law to stop and render aid if needed. When someone fails to do so, this is a known as a hit and run accident. After an accident like this, especially because you really needed help, you might want the other party to be held responsible. When you have decided to take action against the guilty party, a Chicago car accident attorney at Kurasch & Klein can help. CONTACT US ONLINE OR BY CALLING NOW AT 312-372-7250 – THERE’S NEVER A CHARGE UNTIL WE WIN! Who Is Held Responsible in a Hit and Run Accident? First and foremost, the driver who committed the hit and run will face criminal charges for not stopping and rendering aid. Depending on the situation, they might also be liable for damages that they caused to you, especially if you were injured. Contacting Kurasch & Klein can help you seek justice for any injuries that were caused. 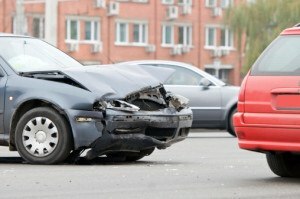 The first thing you should do after an accident is to assess the damages and injuries. Making sure everyone involved is safe should be your top priority. Seek help for any injuries, even if they are minor. After being in an accident, it is best to be seen by a doctor to check for injuries that may not be apparent. You should also immediately call the police and file a report. Give them as much detail as you can about what happened and about the car that hit you. Also notify your insurance company about the accident. Then, contact Kurasch & Klein and provide as much detail as you can so we can assess your case. Enlisting the help of the professionals at Kurasch & Klein will never bring back a loved one or take back the fear you felt, but it can help to hold the guilty party responsible for their actions. You were left helpless after your hit and run car accident, but you are in a very different position now. At Kurasch & Klein, we are a team of dedicated professionals who will fight for you against the person who left you with no help. Selected as “Super Lawyers” since 2005, Kurasch & Klein have successfully won settlements for many accident victims. More than just a team of personal injury lawyers, they will fight in or out of court for justice in your case. Contact us to fight for justice today.